Seasonal: join the new kindergarten programs Rinus and rats Museum or the family tour “Under the stars”. Extra fun: let the Open Pleyn put a glitter tattoo on your arm! Daily from 24 December / m January 8. Only on 2nd Day plays the Amsterdam Puppet, (note 1st and Christmas Day New Year’s Day closed the museum). we see you in the Christmas holiday at The National Maritime Museum? 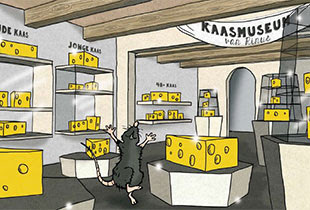 Rinus Rat began his rats Museum needs your help for his own exhibition! Because what does it really belong in a maritime museum? Discover together with Rinus in the new kindergarten program (3+). Daily at 12:00 and 14:00. Join the exciting new family tour (7+). 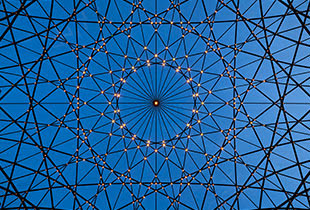 You start lying under our starry sky on the Open Pleyn and then you go on to explore the wonderful exhibition on the navigation level instruments. Start: daily at 13.00 and 13.15. Only on 2nd Christmas Day! 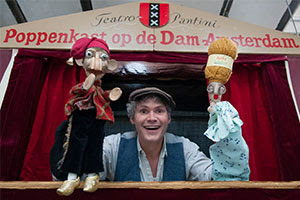 On December 26, the Amsterdam Puppet plays a special Christmas show at the Open Pleyn at 13:00 and 15:00. Fun for all the family! 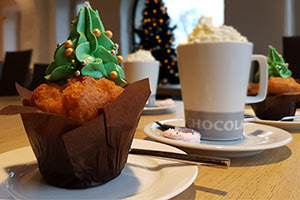 Only at Christmas this delicious Christmas muffin restaurant Stalpaert, eg with hot chocolate or coffee. Yet more sense in mulled wine? This can also Stalpaert! DECEMBER 31: COUNTDOWN TO THE MARITIME MUSEUM! 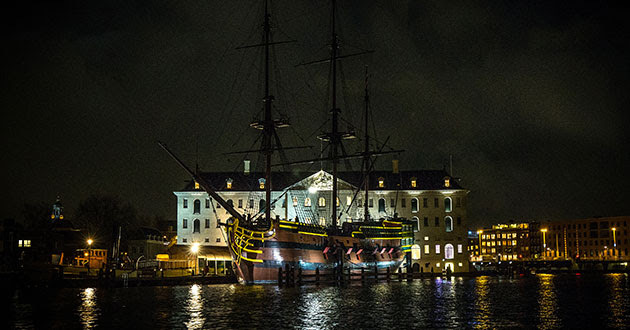 The VOC ship and the Maritime Museum re-form the breathtaking backdrop for the National Aftelmoment on 31 December. From the bridge opposite the Maritime Museum you will have the best view of the fireworks! 3 … 2 … 1: THE MARITIME MUSEUM WISHES EVERYONE A VERY HAPPY 2017! Closed: King’s Day (April 27), 1st Christmas Day (December 25) and New Year’s Day (January 1).